A cultural metaphor is any activity, phenomenon, or institution with which members of a given culture emotionally and/or cognitively identify. As such, cultural metaphors reflect the underlying values of a culture. 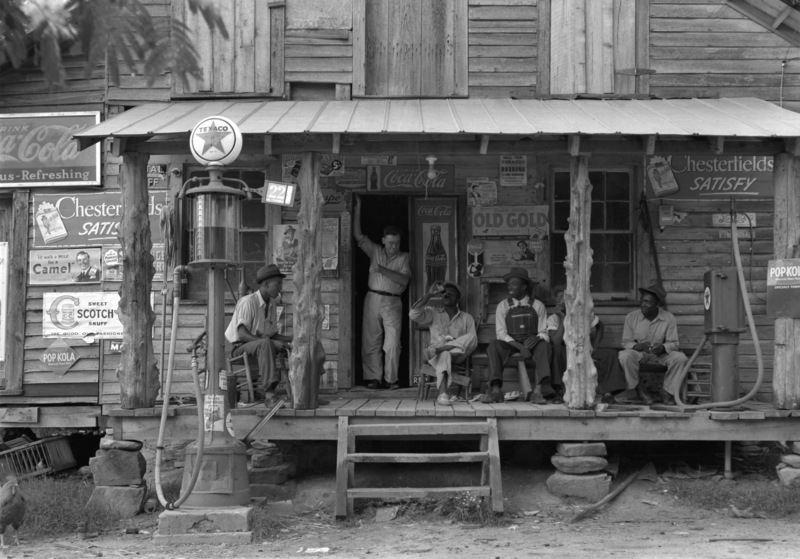 The American South has long been mythologized in literature, film, television, photography, music, and art… usually exaggerated. You see, the South inhabits a “paradoxical position” in American History. Southern culture is possibly America’s most distinct culture in the minds of Southerners as well as of those in other parts of the country. The combination of its unique history and the fact that many Southerners maintain (and even nurture) an identity separate from the rest of the country has resulted in its being the most studied and written about region of the United States. We have a colorful history and a troubled past. Unquestionably the South played a major role in the formation of this country and still contributes to its greatness. But stereotypical perceptions of the South as being anti-reformation, anti-intellectual, and rooted in white supremacy and slavery are symbolized by the social division of the delicate Southern belle accompanied by the white suited gentleman of the Old South to the submissive, master-loving, black slave as well as the ignorant hillbilly of Tobacco Road, the crackers, and the rednecks of the poverty-stricken South. Many white girls have read Gone with the Wind and wondered how grand it would be to be Scarlett O’Hara, while the black girls wondered how awful it must have been to be Mammy. Two sides of the same coin. This romantic conceptualization leaves many with a falsely romantic notion of the “Old South” Misunderstanding, misrepresentation, mystification and a false nostalgia for Gone With the Wind-mythology, enhanced by Hollywood, confuse the perceptions of the South and leaves a great many Americans with the idea that those born in the south personify the three “R’s”: Rednecks, Racism, and Religion. Although often portrayed as either a rural based ‘Paradise of Lost Causes’ or a substandard dystopia, the truth is we, are a little of both…we are a mixture that falls somewhere between Gone with the Wind and Tobacco Road. Don’t let the accent throw you off, we are very astute in our thinking down here…we Southerners are pioneering, progressive, and strong in our beliefs. The South is known for the blues, “rock and roll, as the home of the Civil Rights Movement, producers of great literary (William Faulker, Harper Lee, Mark Twain to name a few) and musical talent, fried chicken, and perhaps one of our finest inventions, the air conditioner – an innovation that made many southern cities livable. I love the South and could not imagine living anywhere else (for long). Southern roots grow deep. We have our share of problems and we have our own way of dealing with them. We’re more laid back and reflective and appreciative of the past. We celebrate gentility, politeness, manners, and family. As Hank Jr. would say: “we say grace and we say Ma’am, And if you ain’t into that we don’t give a damn”. But at the core, we’re just folks.